Prayers & Poems for Those Whose Cats Have "Gone Before"
Minou - memories of a childhood pet. Nine Lives in a Single Day - A cat on the Somme. Nutmeg - rehabilitation of a "last chance" cat. Purr Wars - The Empurr Strikes Back? What If Microsoft Made Cats? Is That The Cat Sanctuary ...? If you reproduce any of these articles elsewhere, please credit the author (where known). 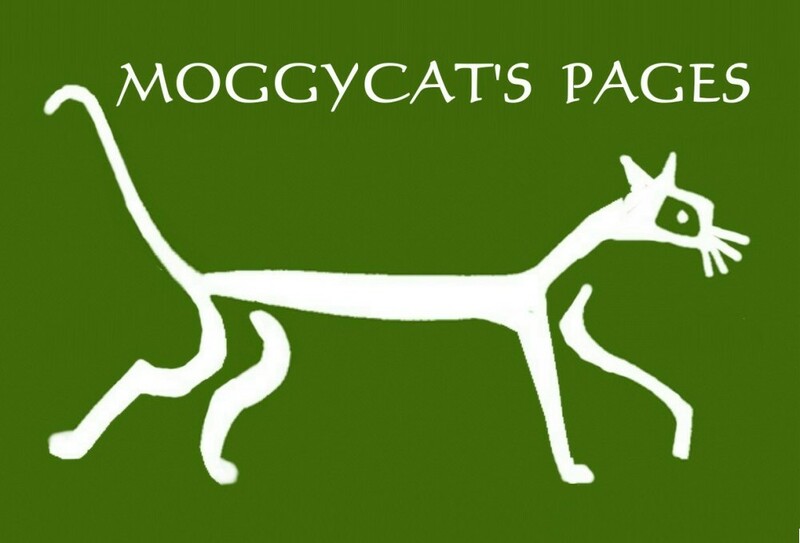 Website comments or queries to: Messybeast & Moggycat Due to workload I can't answer all emails promptly. Moggycat's Pages are dedicated to Aphrodite 'Affy' Hartwell; my tamed feral. Died of cardiomyopathy, 1999 aged 10 yrs, 11 mths. It is also dedicated to all those cats who are euthanized for no better reason than feline overpopulation, and to the volunteers working to help feral, stray and unwanted cats.